The sweet orange does not occur in the wild. It is believed to have been first cultivated in southern China, northeastern India, or perhaps southeastern Asia (formerly Indochina). The Persian orange, grown widely in southern Europe after its introduction to Italy in the 11th century, was bitter. It was used primarily for medicinal purposes. Italian traders might have introduced it to the Mediterranean area after 1450. Portuguese navigators have also been credited with bringing orange trees to the Mediterranean region around 1500. After introduction of the sweet orange, it was quickly adopted as an edible fruit; it was so highly regarded that wealthy persons grew oranges in private conservatories, called orangeries. Certainly by 1646 it was well known in Europe. Portuguese, Spanish, Arab, and Dutch sailors planted citrus trees along trade routes to prevent scurvy. On his second voyage in 1493, Christopher Columbus took the seeds of oranges, lemons and citrons to Haiti and the Caribbean. They were introduced in Florida (along with lemons) in 1513 by Spanish explorer Juan Ponce de León, to California by the Franciscans in the 18th century, and were introduced to Hawaii in 1792. Spaniards undoubtedly introduced the sweet orange into South America and Mexico in the mid-1500s, and probably the French took it to Louisiana. It was from New Orleans that seeds were obtained and distributed in Florida about 1872 and many orange groves were established by grafting the sweet orange onto sour orange rootstocks. Arizona received the orange tree with the founding of missions between 1707 and 1710. The orange was brought to San Diego, California, by those who built the first mission there in 1769. An orchard was planted at the San Gabriel Mission around 1804. A commercial orchard was established in 1841 on a site that is now a part of Los Angeles. In 1781, a surgeon and naturalist on the ship Discovery collected orange seeds in South Africa, grew seedlings on board and presented them to tribal chiefs in the Hawaiian Islands on arrival in 1792. In time, the orange became commonly grown throughout Hawaii, but was virtually abandoned after the arrival of the Mediterranean fruit fly, and the fruit is now imported from the United States mainland. Serve this with pork chops. Pork chops and applesauce. Delish! In a large pot, combine all ingredients, over medium heat. Cook until apples are tender, about 12 to 15 minutes. Mix with a whisk, until desired consistency. Serve warm or at room temperature. Enjoy! Great recipe, Christine! 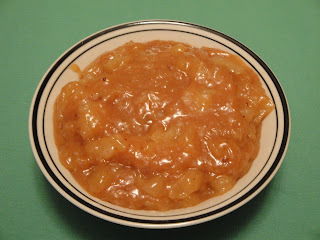 My son loves applesauce, but I don't think he's ever had homemade applesauce. Can't wait to try your recipe - thank you for sharing! Ooh, that looks delicious--a little tangy and perfectly spiced. This looks so simple to make and I'm sure delicious to eat. Can't wait to get the kids in the kitchen to try this recipe out. Thank you, Mario! I love being in the kitchen with the children. I love that you've got some spice in there. I'll be this is just delicious! Yeah! This is just what I needed. 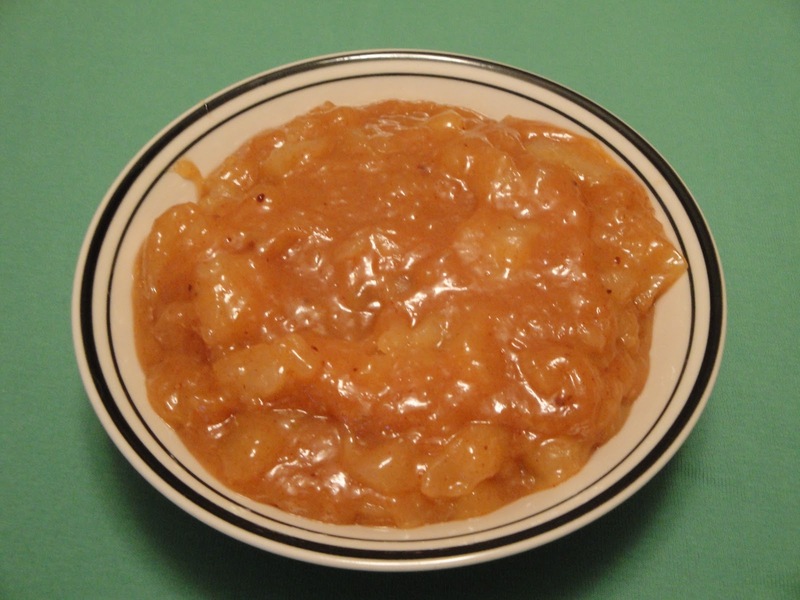 I keep saying that I'm going to start making applesauce at home and then buying it. Now I have no excuse!